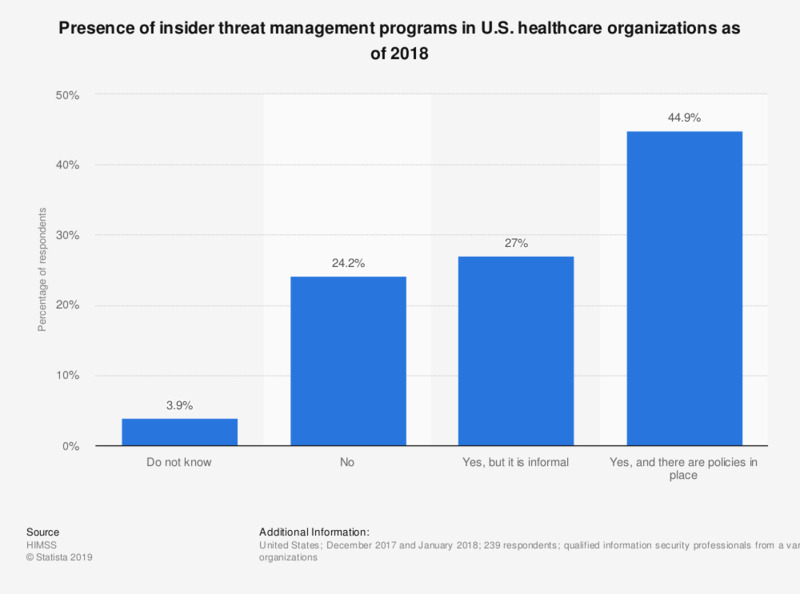 This survey depicts the presence or absence of insider threat management programs in responding healthcare organizations in the U.S. as of 2018. According to the survey, some 24 percent of respondents stated that their organizations have no insider threat management program. Original question: "Does your organization have an insider threat management program?"